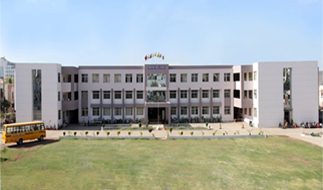 The Prestigious building of Prestige Public School, Indore (M.P.) attracts every one with its upto date Hi-Tech Infrastructure, Peaceful Study Environment, Approachable Location in the heart of city, Well Developed Play Ground, Well Equipped Labs, Activity Rooms, Library, Comfortable Furniture, Well Ventilated Class Rooms, Transport Facility, Nutritious Food to Students are few of the visitors attraction. As we go along with current technology, our Excellent Teaching Staff is using SMSRT CLASSES method of teaching to our smart students. 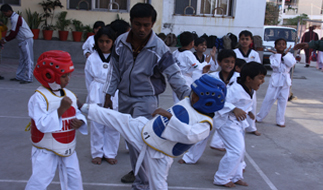 Along with educational development of a child the school also guide the child in his physical development through its Sports, Yoga, Indoor and Outdoor Games, and many other physical and mental exercises. The School has also made its remarkable and unforgettable award winning performances within and outside the city. students. Music can be compared with oxygen which every one needs to Survive. 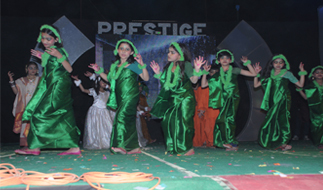 Prestige Public School is very well equipped with modern musical instruments like Synthesizer, Congo, Dholak, Jazz Drums, Harmonium, Tabla, Hi Quality Sound System, Classical Dance, Western Dance which boost our students hobbies. Well qualified music teachers prepare our students for both classical as well as western performance. 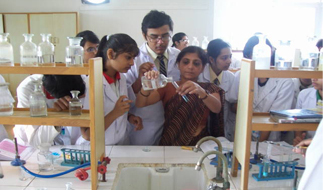 We believe in continuous progress of our child both in educational and physical by judging them through various in house Tests and Examination following Continuous Comprehensive Assessment (CCA) pattern preparing them to face upcoming competitions and exams.